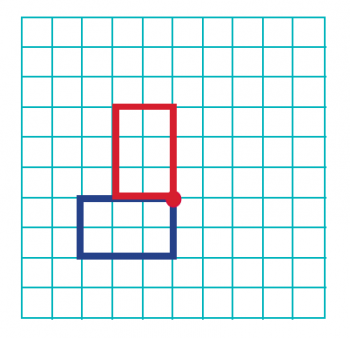 We explain what the term rotation means in geometry, how primary-school children are taught to rotate shapes clockwise or anticlockwise or about the centre, and how to combine rotation with coordinates. Rotating shapes means moving them around a fixed point (clockwise or anticlockwise, and by a certain number of degrees). The shape itself stays exactly the same, but its position in the space will change. Children need to have a good knowledge of angles before they can carry out tasks involving rotating shapes. They need to know off-by-heart that 90˚ is a quarter turn, 180˚ degrees a half turn, 270˚ a three-quarter turn and 360˚ a full turn. It is a good idea to give children cut-out shapes so that they can physically rotate the shapes to gain a better understanding of this concept. They then need to move onto being able to work out how to rotate the shapes without this support. 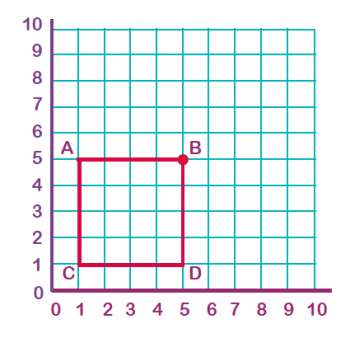 If this shape is rotated 90˚ clockwise about point B, what will the co-ordinates of point A be on the newly rotated shape? 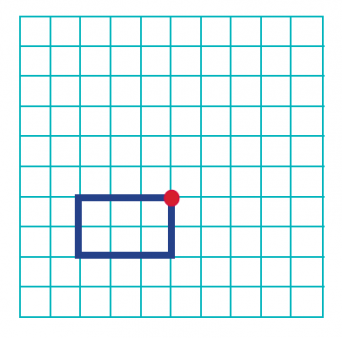 They would then need to rotate the shape (mentally or with the help of a small square) and see where point A would be on the rotated shape (5, 9). 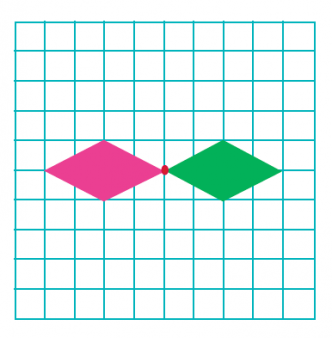 Shapes can also be reflected In a mirror line and translated. 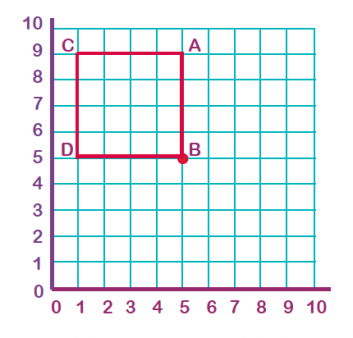 From 2014-2015, Year 6 will still be following the old curriculum, so will learn to rotate shapes 90°or 180° clockwise or anticlockwise. From September 2015, they will start learning from the new curriculum, which does not include any teaching on rotation.